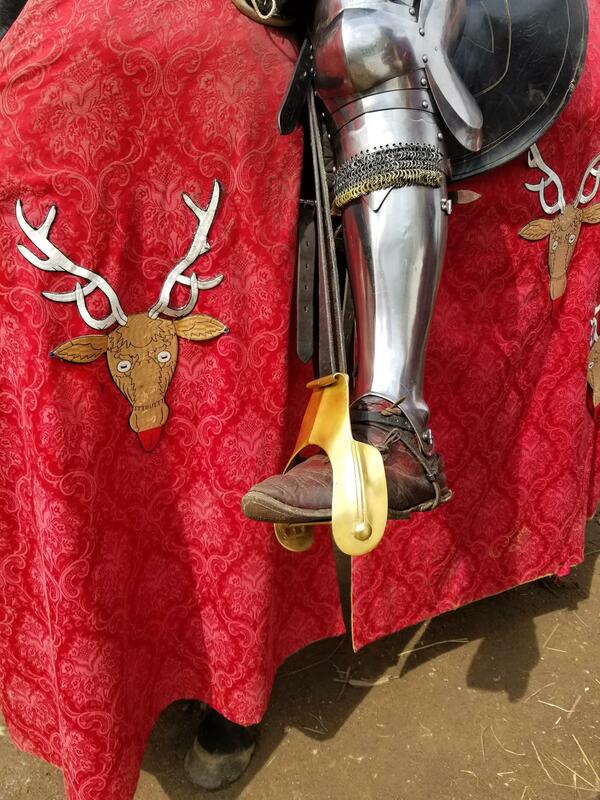 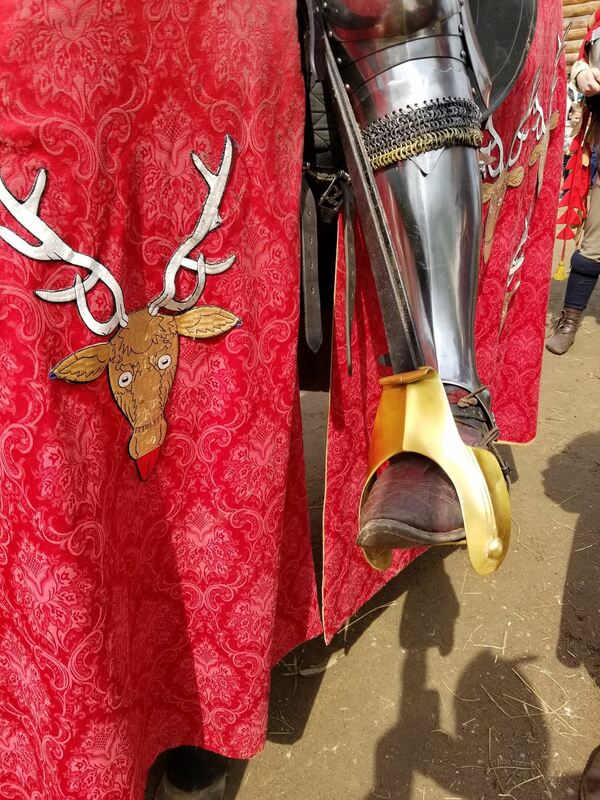 Brass-plated stirrups that got their first field-test at the Tournament of St. George in Moscow in 2018. 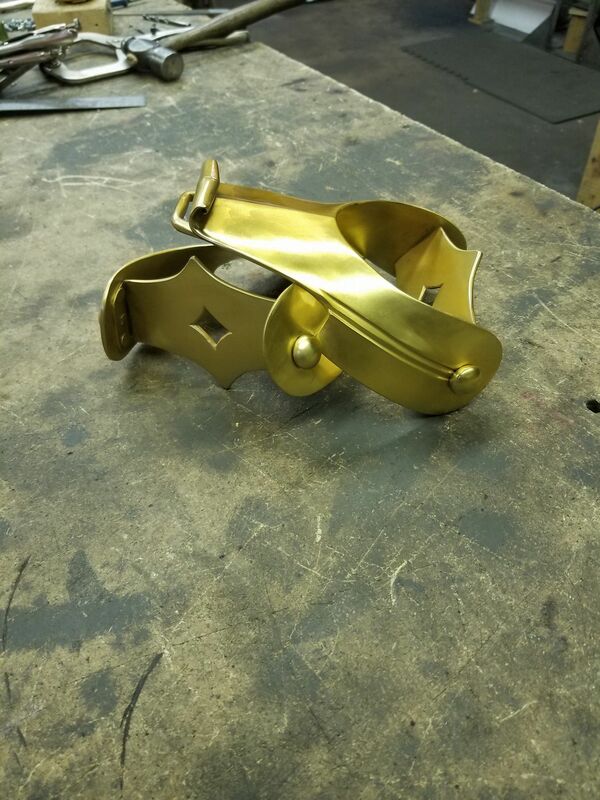 They have been brass plated and are based on the Hawkwood fresco in Florence. 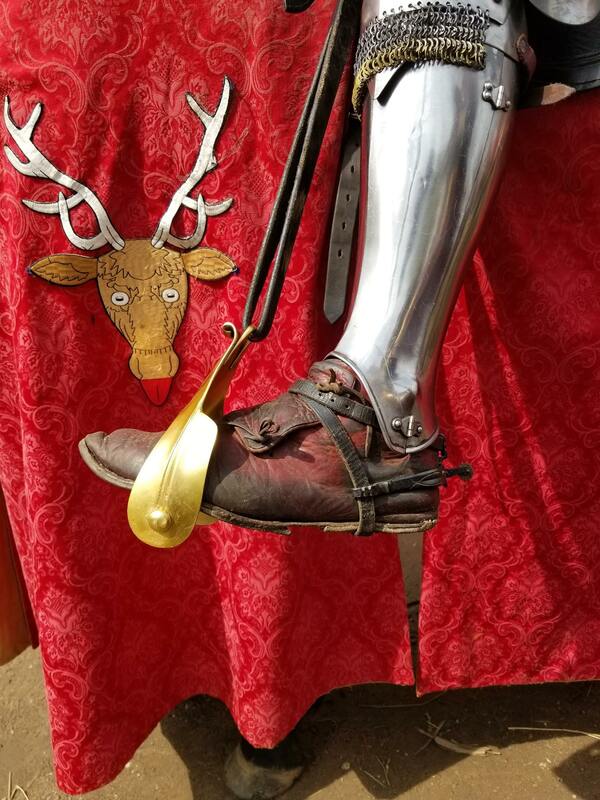 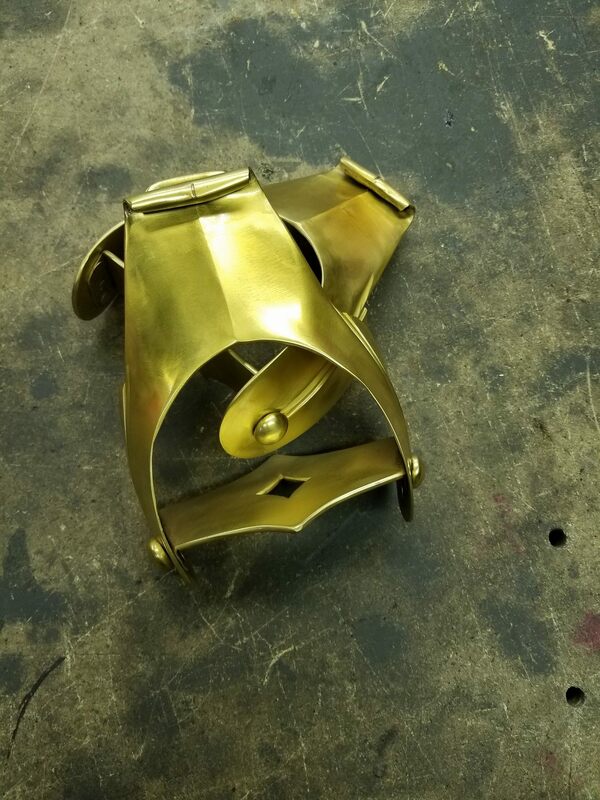 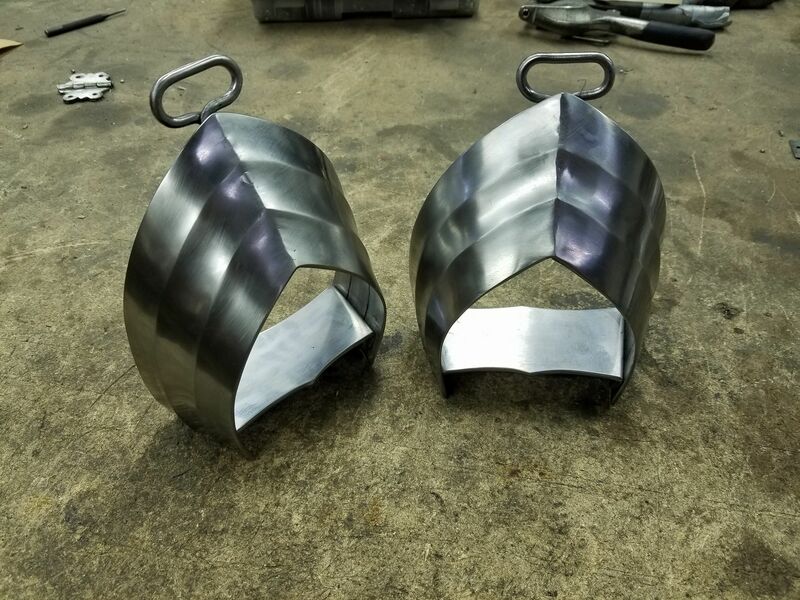 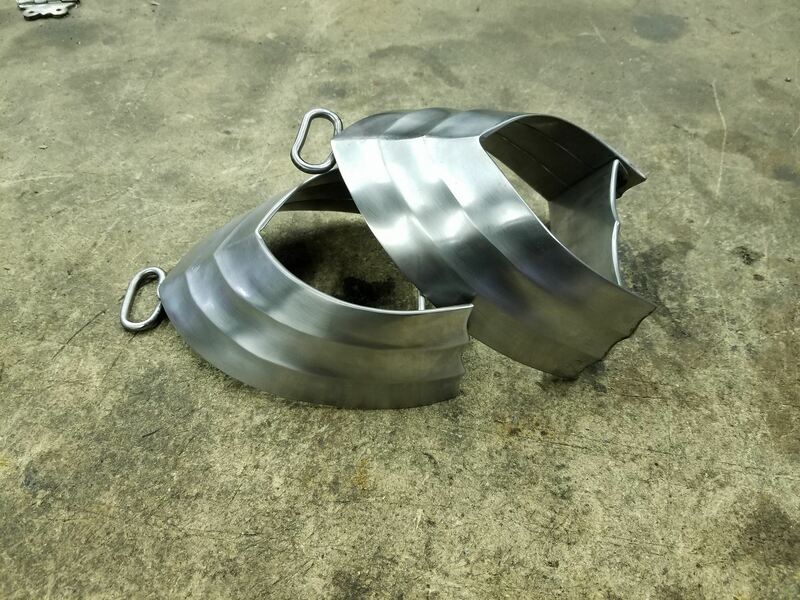 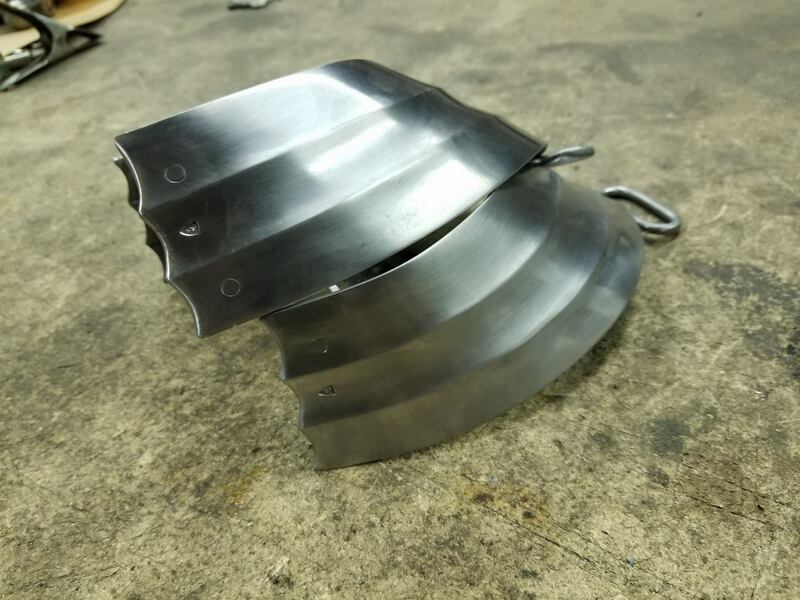 15th century stirrups with custom details per the request of each customer.